BALTIMORE, March 7, 2019 /PRNewswire/ -- The American Urological Association (AUA) today announced its Board of Directors has approved Eugene Y. Rhee, MD, MBA as the new chair of its Public Policy Council. He will assume the role of chair-elect on June 1, 2019 and begin his four-year term as chair on June 1, 2020. "We are honored to welcome Dr. Rhee as our incoming chair of the Public Policy Council," said AUA President, Robert C. Flanigan, MD. "He is a strong advocate for the specialty of urology and a dynamic leader who deeply understands the challenges and opportunities facing the medical community, both at the federal and state levels. With his years of proven leadership, achievements and experience, we are confident in his ability to bring people together to accomplish any task." An AUA member since 1996, Dr. Rhee currently serves as co-chair of the AUA Telemedicine Taskforce, chair of the Taskforce on U.S. Pharmacopeia, and chair of the AUA Western Section Health Policy Committee. He is also a member of the AUA Legislative Affairs Committee, the AUA State Advocacy Committee, the AUA Electronic Health Records Workgroup and the AUA Work Force Workgroup. He previously held leadership positions on the AUA Western Section Board of Directors and was the inaugural health policy section editor for AUA's Urology Practice Journal. Most notably, Dr. Rhee held the honor of AUA Gallagher Health Policy Scholar. He is also a graduate of the AUA Leadership Program. A nationally recognized expert within the urology community, Dr. Rhee is Regional Coordinating Chief of Urology for Kaiser Permanente in Southern California and the National Chair of Urology for the Permanente Federation. He is a past president of the California Urological Association and the San Diego Urologic Society. 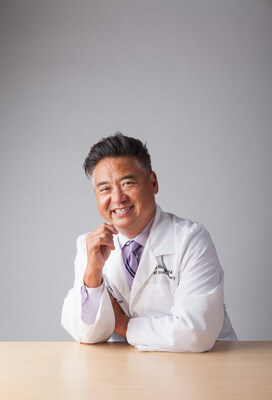 His specific research interests lie in the fields of incontinence, urologic reconstruction & sexual medicine, and minimally invasive techniques for benign prostatic hyperplasia.